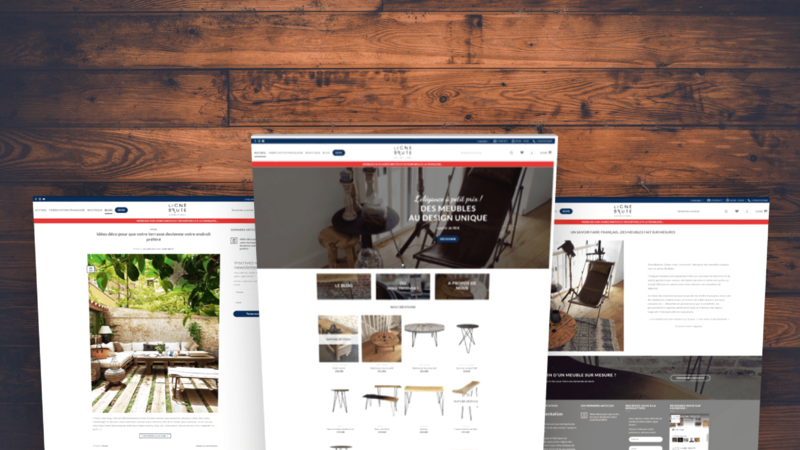 Ligne Brute is a furniture and decoration company "Made in France". She designs and manufactures your furniture in the Hauts de France region. Their ethics of quality is the key to their success. They focus on creating unique pieces of character as well as on the satisfaction of their customers. The brand distributes its products in retailers specializing in handicrafts. We can say that Ligne Brute is the French specialist of rough and timeless furniture. 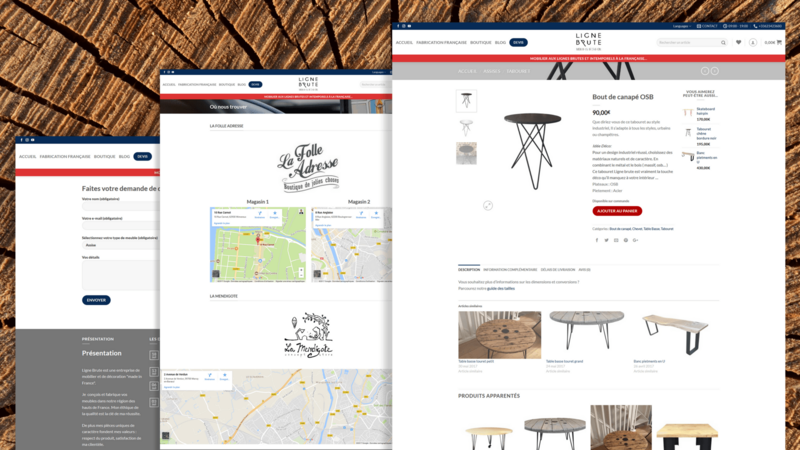 Born from an ambitious vision to bring "Made in France" handcrafted furniture to a wider audience at affordable prices, Johann from Ligne Brute contacted me to help launch his activity. 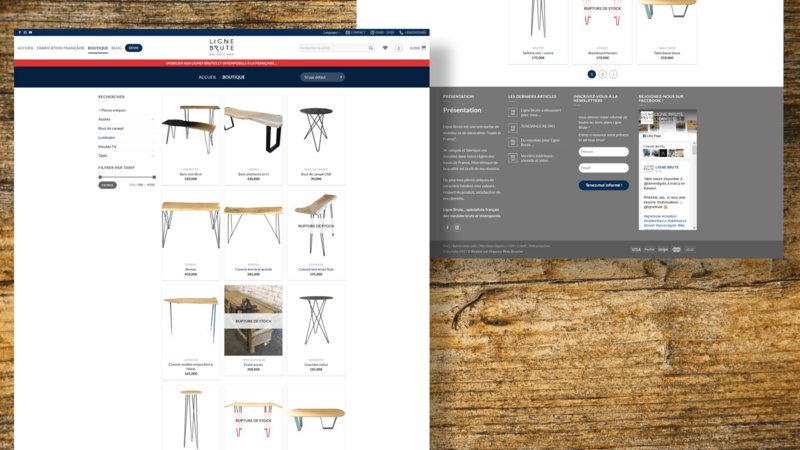 Whether it is to develop its reputation, the number of visitors to their partner stores or simply to increase their turnover, the creation of a website to directly sell online Brute Line items is a natural way to which we went together. "Jhad already heard very good reports about the agency and during our first interview they knew to put me in confidence. Since then, I have full confidence and they are often listening to me."